The best and fastest way to get your hands dirty on Serenity is SERENE, which is a sample application template. Please check prerequisites below before trying to install Serene. 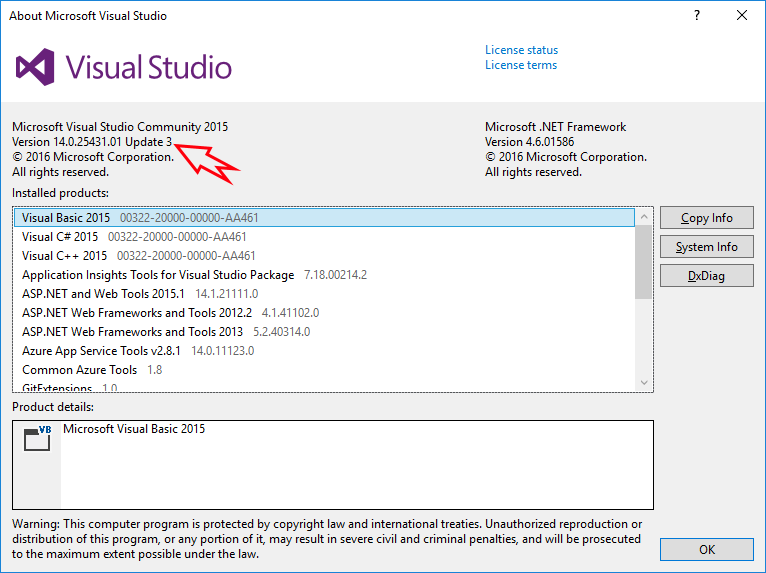 Serene .NET Framework version (ASP.NET MVC 4) requires Visual Studio 2017 or Visual Studio 2015 with Update 3 installed. 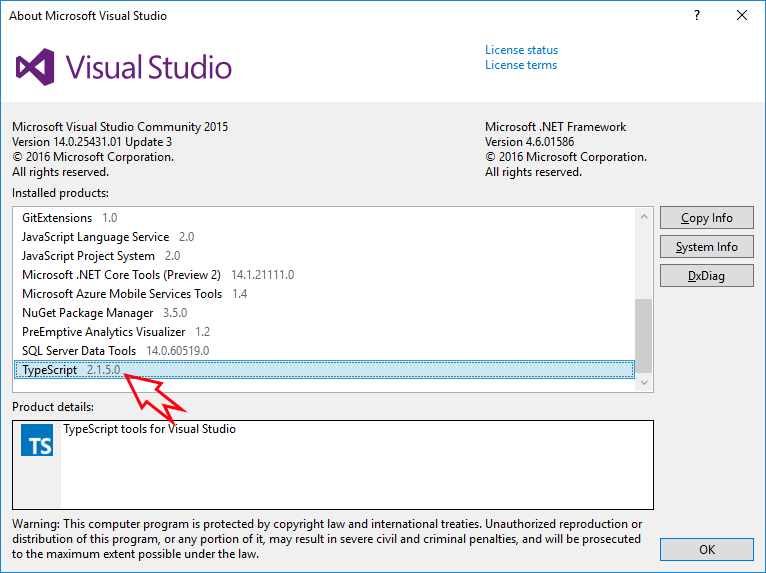 It might be possible to work with Visual Studio 2013 as well but you&apos;ll have many intellisense errors as TypeScript 2.5.2 can&apos;t be installed in VS2013. Serene ASP.NET Core 2.0 version only works in Visual Studio 2017, or using command line. Microsoft recently obsoleted project.json based projects and replaced them with a lighter version of MsBuild based CSPROJ projects. This new project system only works in Visual Studio 2017, so if you want to work with .NET Core version of Serene, either you need to use Visual Studio 2017 or go lighter with Visual Studio Code / Command Line. As of writing, the recommended version of TypeScript is 2.5.2. Even though Serene uses NodeJS based TypeScript compiler (tsc) on build, Visual Studio still uses its own version of TypeScript for intellisense and refactoring etc. If you have an older version of that extension, you&apos;ll be greeted with many errors as soon as you open a Serene project. Visual Studio 2017 comes with TypeScript 2.1.5 by default, but Visual Studio 2015 might include older versions. If you have something lower than 2.3.4 there, you might need to install TypeScript for Visual Studio extension. TypeScript version you see in Control Panel / Add Remove Programs doesn&apos;t matter at all. 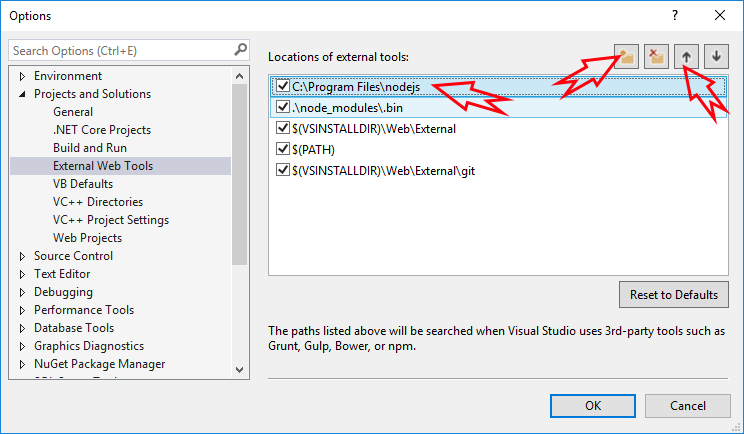 What matters is the one that is enabled in Visual Studio. TypeScript versions after 1.8.6 requires Visual Studio 2015 Update 3 to be installed first, so even if you try to install the extension it will raise an error, so please first install Update 3. 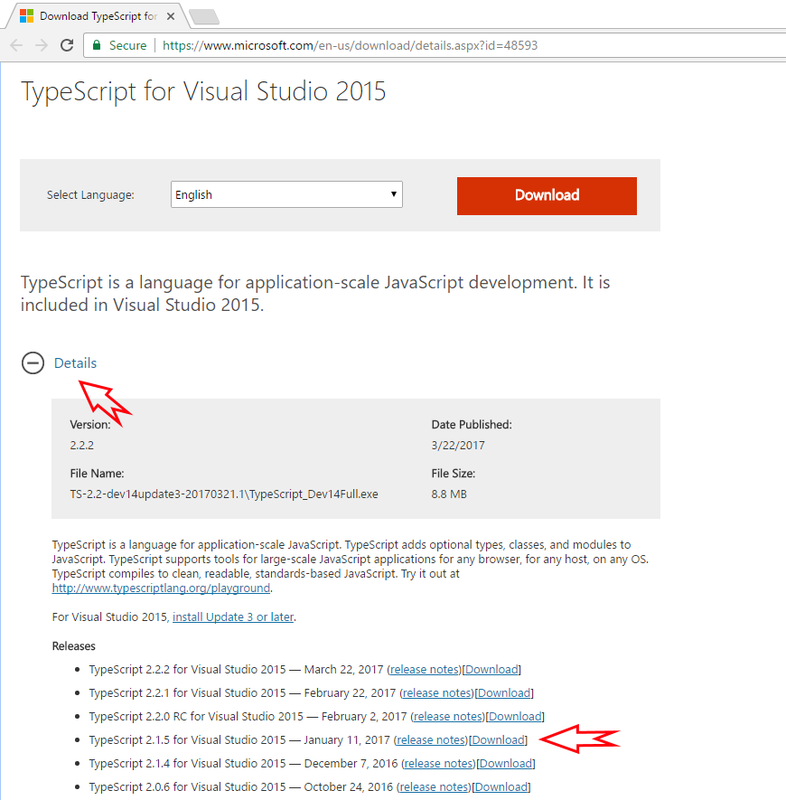 You can get TypeScript extension for your Visual Studio version from http://www.typescriptlang.org/#download-links. Latest version of TypeScript might probably work but keeping in sync with the version we currently use, can help you avoid compatibility problems that could come with them. TypeScript typings (.d.ts) for libraries like jQuery, Bootstrap etc. Current version might also work but is not tested. Even if you have correct Node / NPM installed, Visual Studio might still be trying to use its own integrated, and older version of NodeJS.